Home » Hong Kong Immigration » Who are Eligible for Hong Kong Dependent Visa ? Hong Kong is usually considered as an alluring destination for most of the foreign nationals who aims for better job and high standard of life. 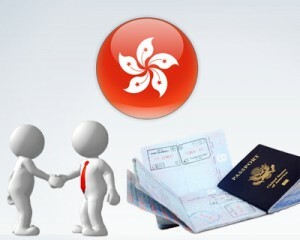 Hong Kong immigration policy is simple when compare to other countries immigration policies. The country encourages overseas nationals by offering excellent career opportunities. Individuals move to Hong Kong by leaving their partners and children, behind in their motherland. Thus, the government of Hong Kong introduced Hong Kong dependent visa to unite overseas nationals with their dependants in the country. Dependants of Hong Kong PR holder or resident can apply for Hong Kong dependents visa in order to accompany the main applicant in Hong Kong. An employee, who was sponsored by an employer to reside and work in Hong Kong, can sponsor their dependents for Hong Kong dependents visa. The holder of Hong Kong dependents visa are permitted to stay, study and engage in work, at the country. However, individuals must fulfill the necessary requirements, and documents needed for dependent visa must also be submitted. The following Individuals are eligible to apply for Hong Kong dependent visa. If sponsor is a Hong Kong PR holder or resident, then he or she can sponsor their dependants such as unmarried dependent children below 18 years of age, spouse, and parents, whose age is minimum 60, to accompany and stay in Hong Kong. If sponsor is temporary visa holder who entered Hong Kong for the purpose of education or employment can sponsor his or her spouse and unmarried dependent children below 18 years, to stay in Hong Kong. Evidence must be provided that projects the genuine relationship between sponsor and applicant. Sponsor or the primary applicant must be enough capable to support himself or herself and dependants. Individuals who fulfill the eligibility criteria can lodge an application for dependent visa of Hong Kong along with all the required documents. Usually, the Hong Kong dependent visa processing time may take six weeks upon receiving all the required documents. The Hong Kong dependent visa processing time is subjected to change. To get this visa, please fill out MoreVisas Enquiry form, So then our visa experts will get back to you. ← What are the Requirements of Denmark Work Permit ?